What factors influence community assemblage and species diversity in ecosystems and what does this mean for their dynamics, performance and stability? What impact do change processes have, can they be tolerated or have some tipping points been crossed? To what extent does this depend on the characteristics of the ecosystem or on the implemented utilization strategy? How do markets and policies influence human decision-making? Is the resulting change in land use having any side-effects on biodiversity and ecosystem services and is there any way to mitigate them through appropriate modifications or supplementary conservation measures? Healthy ecosystems are crucial for the functioning of coupled human-nature-systems and, therefore, for human well-being and sustainable societal development. However, ecosystems are permanently exposed to change. To what extent this critically affects their functional reliability and what this means for the design of adaptation strategies are complex questions. To develop models and apply them to answer these questions is the task of the Department of Ecological Modelling (OESA). As a member of the Division of Computational Environmental Systems at the UFZ, the OESA Department develops mathematical and simulation models for the analysis of complex ecological and social-ecological systems and of their response to the processes of global change. Our special interest is in the impact of climate and land use change on the structure, dynamics, ecosystem services and stability of terrestrial, aquatic and microbial ecosystems. The same is true for the impact of social and institutional change on coupled human-nature-systems. The challenge is to find innovative methods for collecting data (with ecotrones, mesocosm experiments, remote sensing or experimental economics, for example) for the development of a new generation of theory-driven, data-based (socio)ecological models. This is done in close cooperation by modellers, ecologists and socioeconomists in various national and international networks. This will firstly improve the knowledge base.Secondly, we are creating model-based tools for decision-support in the design of sustainable management strategies and policy options to cope with global change (climate adaptation, policies for global food security and energy transition). Professor Frank is a mathematician and Head of the Department of Ecological Modelling at the UFZ in Leipzig and holds the chair in "Ecological Modelling" at the University of Osnabrück. She is spokesperson for the "EnergyLandUse" integrated project in the Helmholtz "Terrestrial Environment" research programme. The focus of her research work is on modelling the structures, dynamics, functions and properties of ecological, ecohydrological and socio-ecological systems under the influence of global change. 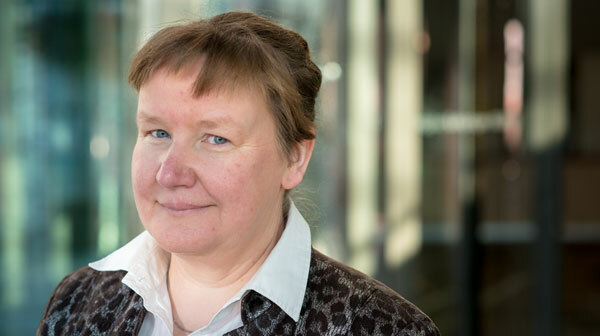 Karin Frank is also very much involved in working with early career researchers within the framework of the UFZ's HIGRADE Graduate School and under the doctoral scholarship programme of the German Federal Environmental Foundation (Deutsche Bundesstiftung Umwelt – DBU). She is a member of the Scientific Advisory Board of SESYNC (US National Socio-Environmental Synthesis Centre).